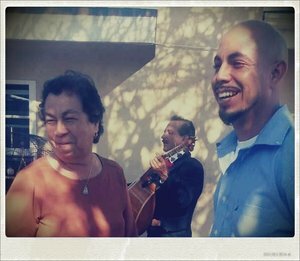 Rigoberto Arceo, a father and prominent community member of Cudahy, was executed at point blank range by Los Angeles Sheriffs in the city on May 11, 2013 after being racially profiled. Rigo was shot in the chest after complying with orders to step out of the car and put his hands in the air. Now the Mayor and city council have done nothing to bring Rigo's killers to justice despite ensuring Rigo's family that these killer cops would be fully investigated and pursued. Led by the family of Rigo, we will march to the Town Hall Meeting taking place where the Mayor and police officials will be holding sessions closed to public comments. Join us to make the community's voice heard! Jail all racist killer cops! Community control over LA Sheriffs! The family of Rigoberto Arceo is also part of the July 21 California Statewide Unity March Against Police Brutality in Anaheim. Click here to learn more.